The use of images has become a crucial part of any blog post, an article or social media ad. Powerful images are integral in creating a compelling and engaging content. Problem is, that people will certainly not respond to cliché, cheesy, amateur, or tacky pictures, and using great photos may cost a lot of money. The solution is to use free stock photos but do it smarter. It is advisable to use them so that you avoid a possible lawsuit with the use of copyrighted images. This comprehensive guide will give a list of websites where you can discover amazing free stock photos. It will also discuss how to select the right image and explain various types of copyrights that you can use. 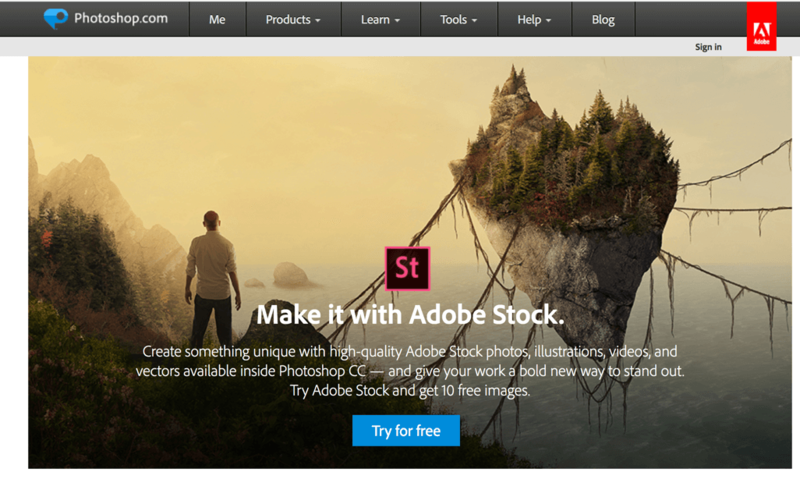 The Power of Free Stock Images: Why and When to Use Them? Why are images so powerful and why do you need to use them? Great images create an often unexplained emotional link with the viewer. It transcends language and words. Quality images give a positive first impression. Most of the information that people consume is visual, so images will stick in the viewer’s mind. The right images allow you to connect and engage with your target audience. Compelling images are a perfect way to represent your brand, your advocacy, or your message. The perfectly-matched image will beautifully illustrate your writings. It allows for a better understanding of what is being discussed. An accurate image helps emphasize an important point or illustrate an example. Captivating images will boost likeability on social media. The most popular social networks are all image-centric: Facebook, Instagram, Pinterest, to name a few. Research says that articles or blog posts that have accompanying images get 94% more views than those without images. 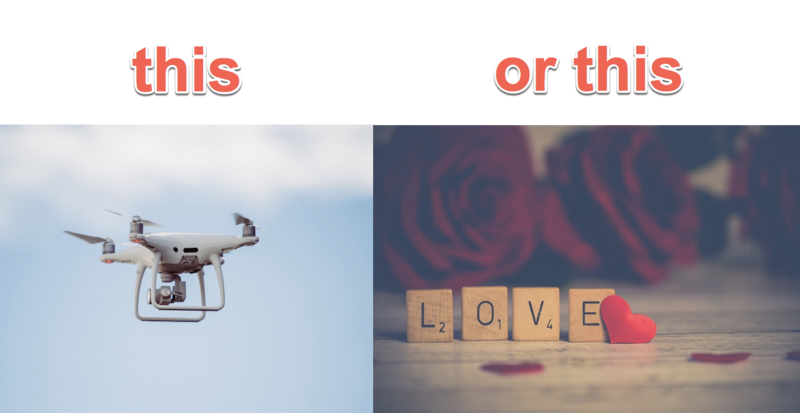 How to Choose the Best Stock Photo? Anyone doesn’t like run-of-the-mill photos that everyone has seen before. Often, people are drawn to images that are authentic and create an emotional connection. How do you choose the best photo that best represents the message that you are trying to get across? Effective images instantly convey a clear message and tell a story. Choose images that do just that: with just one look at the photo, you know right away what it is talking about. Choose simple images. Avoid visual clutter. Choose relevant and unique images. Don’t just choose photos for the sake of choosing them. They should be able to complement your content, reflect your style and what you represent. When using photos of people, use candid shots. This makes it easier for viewers to imagine that they are the person in the photo, and thus, they can easily relate to what you are trying to say. What are the various types of copyrights? Generally, photos and images on the web are protected by copyright. There are penalties for copyright infringement, so you have to ensure that you have permission to use images. The term free images generally mean that the photos are free from copyright restrictions or licensed under Creative Common Public Domain, which will be discussed below. This permits you to use and alter the images in any way, shape, or form. This can also be used both for commercial and non-commercial purposes. However, whenever you use an image with an attribution license, it is imperative that you credit the photographer or creator. The images in this type of license have the same permissions as an attribution license. You also need to credit the photographer or creator. However, the only difference is that you can only use it for non-commercial purposes. 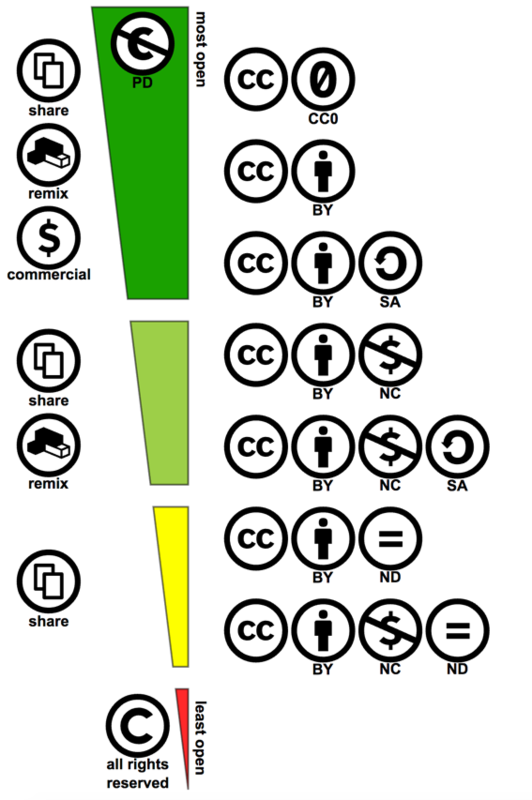 If the image is under a Creative Commons license, the user is required to ask permission from the creator or owner. When approved, the used should comply with the conditions that the creator or owner set in using the image. In informal terms, this is known as “do whatever you want” license. Images under CC0 can be copied, modified, and distributed even without asking permission. The photographer who took the images has dedicated it to the public domain. This means that all of the person’s rights are waived under the copyright law, which is applicable worldwide. In the same way, the person associated with the images disclaims liability and makes no warranties on the use of the images. You can get numerous free photos on freestocks.org. They are licensed under Creative Commons Zero. Popular categories and tags are prominently displayed on the webpage, making it easy for users to find what they are looking for. There is also a search bar where you can effortlessly type the specific keyword. MMT features a collection of free CC0 photography, with photos that can be used and redistributed. MMT founder Jeffrey Betts provides highly-curated photos that are tagged and easy to search. There are helpful categories such as “What’s New and Trending”, “From the Workspace”, and “The seasons” that make searching for photos easier. New photos are added each week. This great collection of CC0 photos was founded by two amateur photographers Rudy and Peter, who are both based in the Netherlands. Initially, they only shared their own photos, but now they have opened the site to allow other photographers to upload their photos as well. You can browse free photos in various categories. Each photo contains quick information on how many views, downloads, and likes it currently has. A favorite of many users, Pexels have thousands of photos with the Creative Commons Zero license. It has a top photographers feature which allows users to get the best high-quality photos. The photos are neatly categorized based on popular searches. One great feature is the “Photos by Color” category, where users get to choose a photo based on a chosen color. There are over 1.4 million wonderful photos, illustrations, vector graphics, and videos available on Pixabay. These free-stock photos are neatly categorized and can be searched by orientation (vertical or horizontal), category, size, and color. Children can search safely on Pixabay with their SafeSearch feature. Another great feature is that users can search images based on cameras used. There are hundreds of cameras to choose from. Photographer/ Graphic Designer Ryan McGuire of Bells Design created Gratisography. Gratis comes from a Latin word which means “free of charge”. Gratisography images are all “made with love” by McGuire, and it is meant to be a resource for images that could be downloaded and used for free without attribution. With a considerable collection of high-resolution images, you can get visually-compelling free stock photos from this user-friendly site. New images that are added weekly are easily seen on the platform. Users also get to easily view what’s trending, their past downloads, and their favorites. All photos are free of copyright restrictions. Kaboom Pics is founded by Karolina, and all her images appear on the site. She uses a Canon camera and touches up the photos in Adobe Photoshop and Adobe Lightroom. All photos at Kaboom Pics are free for commercial use and are a favorite of lifestyle and interior design bloggers around the world. This is a member-based site that features free stock photos that will be sent to your email every month. Free membership gets you instant access to great photos, while a premium membership will give you access to thousands of photos with a searchable library and exclusive media which will be sent monthly. Unsplash is one of the best sources of free high-resolution photos. It has a very substantial collection of quality photos, which are prominently featured on the homepage. Thousands of great photos are selected each day. Users can view their curated collections, where images are organized according to various categories, or you can follow photographers that you like and never miss another photo. Powered by e-commerce platform Shopify, Burst offers high-resolution photos that are all free for commercial use. What differentiates Burst from the rest is it targets entrepreneurs who are looking for photo collections to start their own business on an e-commerce site. Burst’s Business Idea page helps budding business owners to select images for their products to launch a professional brand free-of-charge. Picography offers unique, gorgeous images by various professional photographers. These free stock photos are CC0 licensed. Anyone can submit a photo on the site, provided that you adhere to the submission terms. Picography was built by Dave Meier, and he also takes charge of curating the submitted photos so that only the best ones appear on the site. If you are looking for free pictures of food, go to FoodiesFeed. Many food bloggers get their images from this site, which provides free-to-download photos from food photographers the world over. FoodiesFeed identifies itself as a worldwide community of food photographers that help provide world-class food photos to anyone who needs them. This site contains travel photos that anyone can use for personal or commercial purposes. The collection of over 7,000 travel photos was taken by travel photographer Pete Rojwongsuriya. It is definitely cool to look for photos: just click on any country on the world map, and the photos will appear. The site is a spinoff from www.bucketlistly, which is a site dedicated to creating online bucket lists. At Picjumbo, new free stock photos are added daily. A Premium Membership allows you to get all new and premium photos in your inbox. Founded by enterprising and talented photographer Viktor Hanacek, almost all the pictures at Picjumbo are his own. His free photos have been used in Entrepreneur, lifehacker, designmodo, and many more. With new pictures added weekly, this highly-stylized collection of free photos was created by the LEEROY creative agency. 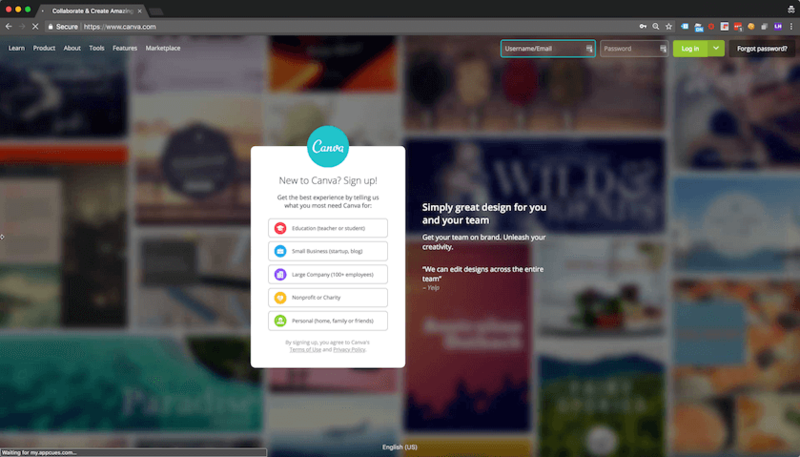 With Life of Pix, you get to create your own portfolio, personalize your photos, and follow your favorite photographers. If you are looking for unique, one-of-a-kind photos with a different perspective, you should go to this site. Tookapic is essentially a social media platform aimed at photographers and digital nomads who want to create a photo journal. Tookapic has thousands of premium stock images. By agreeing to the terms and becoming a member, the user gets free stock images which are all governed under the licensing agreement found in the website. This site contains nature photos that are all royalty-free. The photographs were all created by Adrian Pelletier, who updates it daily with fresh photographs. Taken with his Canon 6D, most of his awe-inspiring photographs are nature-inspired. His favorites are sunsets, landscapes, water, leaves, and fauna details. New Old Stock offers extraordinary images: vintage photos that are free of known copyright restrictions. It has an amazing and unique collection, and all photos are available for personal and non-commercial use. All photos are optimized, cropped, and edited by designer Cole Townsend. He gets the vintage photos from the public archive via Flickr. StyledStock is aimed towards the female market, with images catering to women entrepreneurs who sell products and services for women. With categories, such as Beauty, Fashion, Floral, Food, Lifestyle and much more, it allows the use of images for commercial and non-commercial purposes. The image copyright, however, is still the author’s property. This site offers free photos all taken by a Visual and UX designer named Daria. Her original images are free for both commercial and personal use. Daria only takes photos and uploads them in her spare time. Although the photographs are limited, it is about quality and not quantity for her. 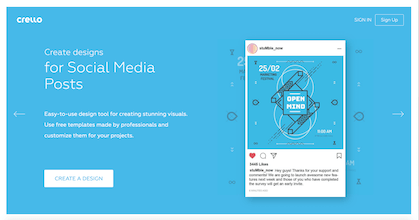 This simple and easy-to-use design tool allows you to create designs and visuals for projects. There are thousands of free templates and hundreds of fonts available. This free online photo editor allows users to utilize simple editing tools. Anyone can do it. You can quickly filter, resize, adjust, and edit your photos. The final images can be used for thousands of layouts. 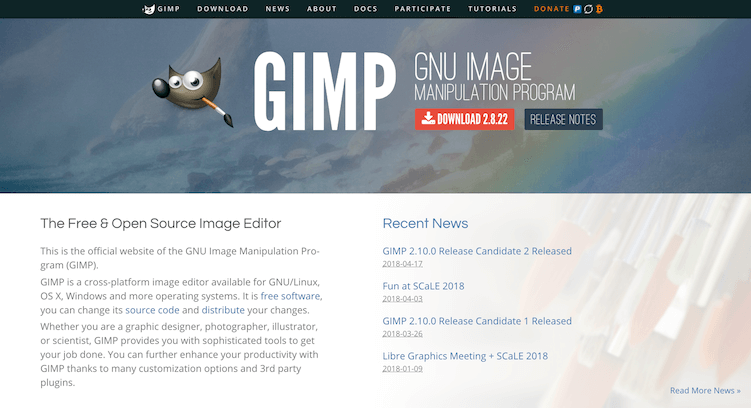 This is an open source program that allows you to manipulate images. You can also use this for free-form drawing and other tasks that require image creation. 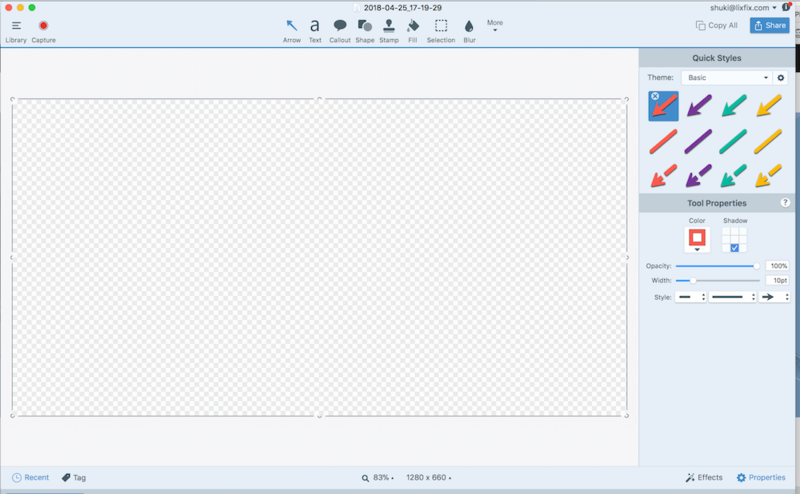 Snagit is especially designed for creating and editing images used for instruction. It goes beyond ordinary screen capture because it has the ability to even video displays and audio output. Being the most popular and most powerful image editing app, Photoshop is used by both professionals and amateurs alike. It has complete image editing tools that allow designers to create high-impact and compelling visuals. Stock photos could be the best think for you blog, Facebook Ads or any other content you would want to create – you just need to use them smartly and legally so it will bring you the effect you want.